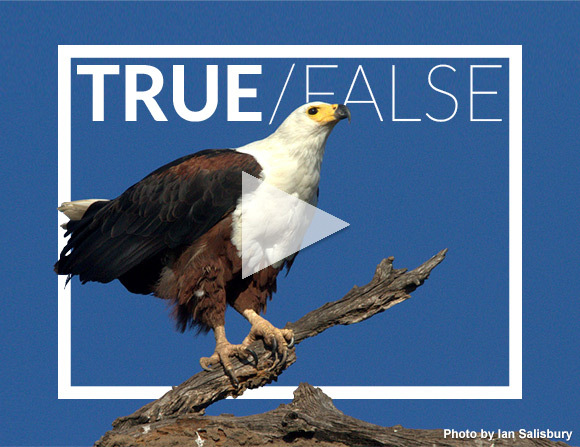 True or false: This is the distinctive call of the African Fish Eagle. Click on the arrow to listen to the sound clip...and tell us whether we are telling the truth. CHECK YOUR TRUE OR FALSE SCORE!